A new batch of members has joined the premiere organization for accountancy students in DLSU during the Annual Recruitment Week (ARW). The ARW also marked the recruitment of members that will form part of JPIA Gold. This membership is designed not only for graduating BSA students but also BSA alumni of DLSU wherein the latter can avail of the same privileges as undergraduates like parties, talks and seminars, thus continuing their connection with JPIA-DLSU. John Michael Ganipan, JPIA-DLSU President told Double Rule that he is happy with the turnout of the recruitment week saying that the recruitment of members is not only open to the BSA students but to the whole DLSU population as well. He encouraged the new members to become active saying that it is an opportunity to find their interests and further hone their skills. The president likewise acknowledged the “Big 4” Audit Firms– Sycip, Gorres, Velayo, and Company (SGV and Co.), KPMG Laya Mananghaya, Joaquin Cunanan and Company, and Punongbayan and Aurallo – for their support in the event, which is aptly themed “Retro”. He also gave credit to JPIA officers for making the recruitment week a success for the success was an offshoot of a collective effort. JPIA-DLSU is still open for recruitment, as the Council of Student Organizations (CSO) has allowed the organization to recruit more members until the end of the term. The Accountancy Department of the De La Salle University (DLSU), in coordination with the Junior Philippine Institute of Accountants (JPIA), prepared a testimonial dinner last June 10 at the Marilen Gaerlan North Conservatory in celebration of its superb performance in the recently-concluded Certified Public Accountant (CPA) Licensure Examination. The program commenced with a thanksgiving mass held at the Chapel of the Most Blessed Sacrament, followed by a short program highlighted by speeches from DLS System President Bro. Armin Luistro and College of Business and Economics (CBE) Dean Michael Alba; and a video presentation prepared by JPIA. In the recent CPA Board Exams last May, DLSU bested all other schools with a 62% passing rate (66 out of 107 examinees). The national passing rate is 19%. Furthermore, DLSU graduate Alvin Endaya topped 5,363 accounting graduates who took the exam. 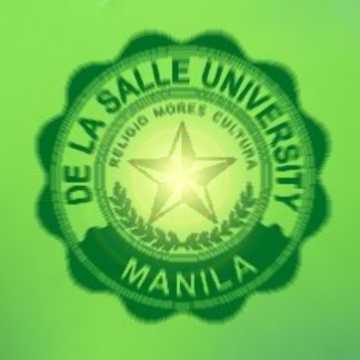 Other Lasallians who filled in the top 20 spots are Sarah Camille Oblepias (2nd), Elsinore Camille Yao (5th), Gregory Vincent Yap (6th), Kristine Karen Co (7th), Diana Lou Navarro (10th), Michael Ian Ronadario (10th), Lloyd Bryan So (10th), Karla Funtila (12th), and Vima Karen Pia Lim (20th). The oaththaking ceremony of the successful examinees will be held before the Board of Accountancy on June 22 at the Plenary Hall of the Philippine International Conventional Center. Gracing the affair were Dr. Carmelita Quebengco, DLS System Executive Vice President;Dr. Corazon Subido, Chairperson of Accountancy Department; Rene Hapitan, CBE Vice Dean; partners and human resource personnel from Alba Romeo and Co, Carlos J. Valdez and Co., C.L. Manabat and CO., Joaquin Cunanan and Co., KPMG Laya Mananghaya, Punongbayan and Araullo and Co, and Sycip, Gorres and Velayo and Co; and some faculty from the Accountancy Department.